Two of four suspects in a shooting that killed one person and injured another on state Highway 4 in Pittsburg in May were arrested Wednesday in Antioch, according to police. 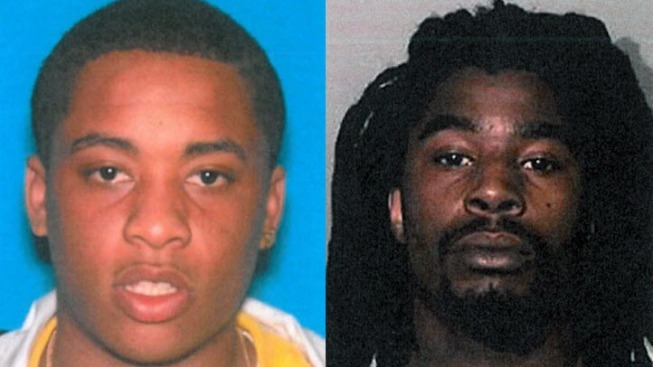 Marcus Gaines and Kevin Carter were arrested at a residence in the 1900 block of Johnson Drive, but suspects Corey McCroey and Damario Pitteard remain at large. The four suspects allegedly followed a man and woman driving west on Highway 4 and shot them near the Railroad Avenue overpass. The vehicle the victims were traveling in crashed, and the female driver was partially ejected. Both victims were taken to a hospital. The woman was pronounced dead. She was later identified as 25-year-old Shanique Marie, of San Francisco. The male victim was treated and released. After a seven-month investigation, police say that all four suspects have gang associations in the San Francisco area.